This is not your typical cut and paste vision board meeting. In fact, we are removing the cutting and the pasting. 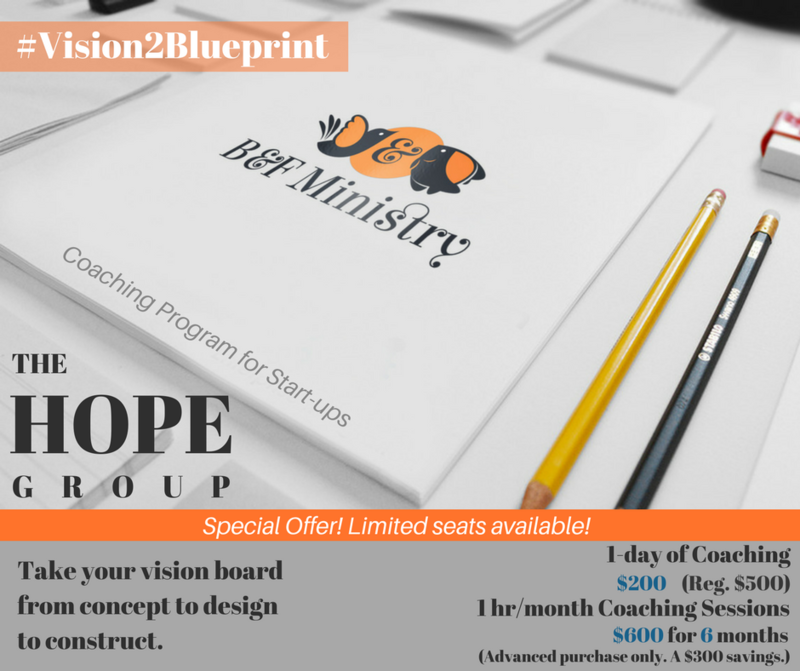 The HOPE Group is your building platform. Move beyond living life content with only a feeling of desire for your vision. Discover your plan and begin the process of constructing your thoughts with confidence, because the possibility of fulfilling your dream is now. We want to coach you to the finish line. We take the stance that ministry is business, and business is ministry. They are both divinely given by God. Each endeavor requires the same care and attention to detail to properly build a foundation that will stand the tests of this world. There is a time to dream. Then there is a time to plan. Now, it's time to run. Begin with the 1-day coaching session. Limited seats available. Schedule monthly checkups for your endeavor.